One of the greatest things about climbing, and I think one of the things that attracts many of us to the sport, is that no two moves are ever the same. Even the very same climbs can be executed differently each time you do them. This is endlessly entertaining for the mind, but creates a challenge for the body. The fact that there are so many facets to the execution of a boulder problem or climb give the climber many avenues of progress. This opens success to more than just the very strong, very flexible, etc. As great as this variability is for enjoyment of the sport, it is a hurdle when it comes to training. Training is about overload and recovery. At the top end of one’s ability, overload has to happen along a razor’s edge – too much and you get hurt, too little and you stay stuck. The difficulty in quantifying climbing can easily interest us in other, less effective, training modes. This is not because they are superior but because we can measure them more easily. If I can do more pull-ups this week than last week, I’ll believe my training “worked”…whether it actually made me better at the sport or not. In climbing, climbing is everything. It doesn’t matter how good you are at the parts of the sport if you can’t send. I’ve seen fabulously flexible climbers fail miserably at stemming because of bad footwork, strong climbers fail because they couldn’t get the balance right, and some of the most bold climbers come peeling off long before they needed to be brave. Yes, strength training and hangboarding and campusing can help you, but you still have to move. That’s why there is no better training mode than bouldering. 1. The total duration of the session, and the duration of the “work sets” after warm-up. In general, your warm-ups will drift toward a standard format and length, and will not be as important a factor in calculating what you did in training. 2. The grade and nature of the problems you do. I recommend noting the angle of the problem, length, and type (i.e. crimpy, technical, slopers, explosive, etc.) The grade will be the only quantifiable part of this, but noting that you spend all your time jughauling on the steep walls should raise a red flag and explain why you can’t seem to climb anything outdoors. 3. Your general feeling of how each problem felt. A simple 1-5 scale of crappy to awesome is useful. This shouldn’t be tied to whether you send or not. 4. Whether you sent or not. In general, if my athletes fall low on a problem, we call it a scratch and start over. Likewise, an almost-send gets counted. This is because we are tracking what is happening physiologically in the session, not whether you made it to some arbitrary stopping point. Naturally, you can detail the actual results of each try, which give you better perspective on the data. Like I said above, the only thing you can quantify is the grade. These are all over the place and can be somewhat inconsistent. If a grade is way off, don’t worry what others think. Note the grade you think the problem is. Using the data you recorded above, the following numbers can be noted for each training session. – Total number of problems. Keep track only of problems after warm-up. – The “V Sum”. This is all the grades of the climbs you did that session, all added together. For example, if you did V1-V2-V4-V4-V3-V4-V2-V3-V4, the V Sum would be 27. V0 should be counted as V1…you actually did some climbing, so we can’t have it count for zero. – The “Average V”. This is your V Sum divided by the number of problems. In our example above, that would be 27 divided by 9, or V3. If you were to do an extra V3, your V Sum would kick up to 30, but your average V would remain the same. Tracking this to one decimal place (i.e. V3.1) is useful. – The Session Density. To calculate this overall indicator of session load, you take the V Sum and divide it by the duration of the session. Therefore a 1- hour session where your V Sum is 60 would have a density of 1, where a day where your V Sum is 80 in the same time would have a density of 1.34…a huge change in load. Using these numbers, you can get some good information on your sessions, the most important being whether you are progressing at all. A higher Density, V Sum, or Average V will indicate higher loads than the previous session. When trying to increase power or strength (ability), the most important number to track is Average V. This gives you an indication of session intensity – the number one measure of how hard you worked. When trying to increase work capacity or all-day endurance, you will want to pay closest attention to the V Sum. This give you a picture of how much overall work you did, and is easy to add to. In an eight-week program, you might have to compare a dozen different sessions, and can “increase” your volume by simply adding a few easy problems at the end of a day. This is easy at first…when it gets less easy is when you know you are making progress. 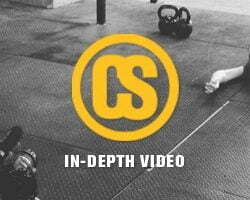 When trying to increase long power or power endurance, Session Density is the measure to watch. This is where endurance route climbers can really tune up their fitness. Like I said before – it’s a challenge to quantify training in this way, but these simple measures can be used quickly and effectively. The biggest error we see in climbers is non-progression. This is not because they can’t move forward, it’s simply that they don’t know how. When you are tracking these numbers, how do you factor in your attempts on your limit problems? 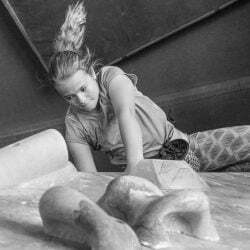 In your book, the limit bouldering sessions involve about 40 minutes of limit bouldering, but I find myself generally burning only one or two or three moves during this phase of the workout. Do I include these attempts or these problems in my calculations? I would love to get some clarification on this. 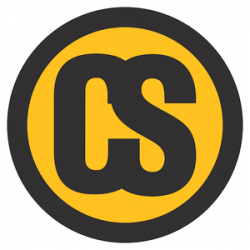 You do clarify on this a little bit more so in this article than in the book by saying, “In general, if my athletes fall low on a problem, we call it a scratch and start over. Likewise, an almost-send gets counted.” However, what about the limit bouldering section of the workout when you should be working limit moves and sequences? With limit bouldering, we encourage a full accounting of the details on each attempt. This includes grade, angle, nature of problem, attempt#, rating of perceived exertion, number of moves completed, and impression of the attempt. This takes a minute or 2 per problem, but is a great thing to do while you rest. 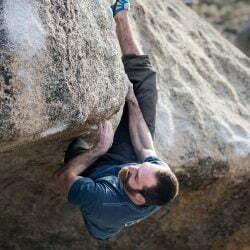 The normal quantification of bouldering can be used on easy (OS-3 or easier), medium (OS-2 to OS), and hard (OS to OS +2) level problems pretty well.